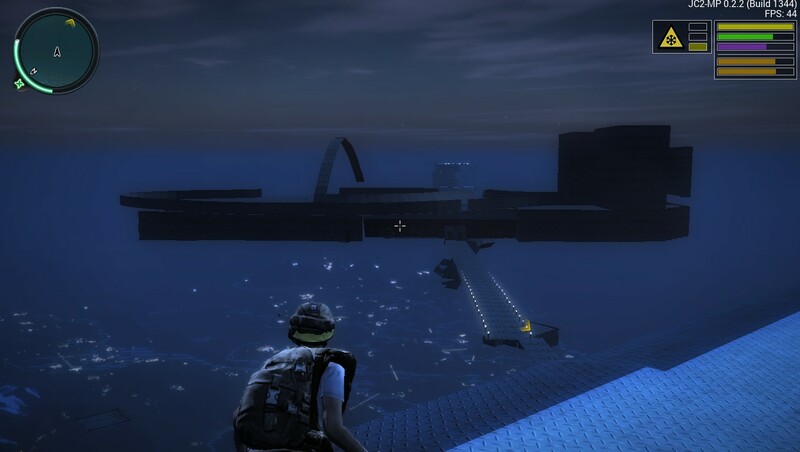 I see a new survival district server on jc2mp now (sd2 testserver) maby the server is gonna make a comeback :O It has password tho. Work is still going into restoring the server - there have been a lot of gaps to fill and information that was simply missing. For now, the SD2 TestServer is exactly that; for testing fixes. It isn’t a fast process and there have been several setbacks. I’m still not sure why ING has not been in contact, even though he has been on these forums recently. I can only hope he plans to offer his help. Until then, I will keep working on it myself. when you just perfectly saved your self for a long winter. anyone has screenshots of the K_V_M's bunker at desert stronghold, i am quite a fan of it. im experienced in c++, most scripting languages and so on. Hello to those who like me still come here from time to time to see if there's any news about the server having a chance of making a comeback. Some of us still have hope that there is a slight chance for this to happen, but with every month that passes seems hope has faded for many. It's been a little more than a year since the server went down, and I have been thinking about this for a while and seems like the only reason the server isn't back online is due technical difficulties. Seems like you've put a lot of time and effort all by yourself, so I don't want to sound disrespectful, but would you please consider getting help from a trusted developer Rexun? 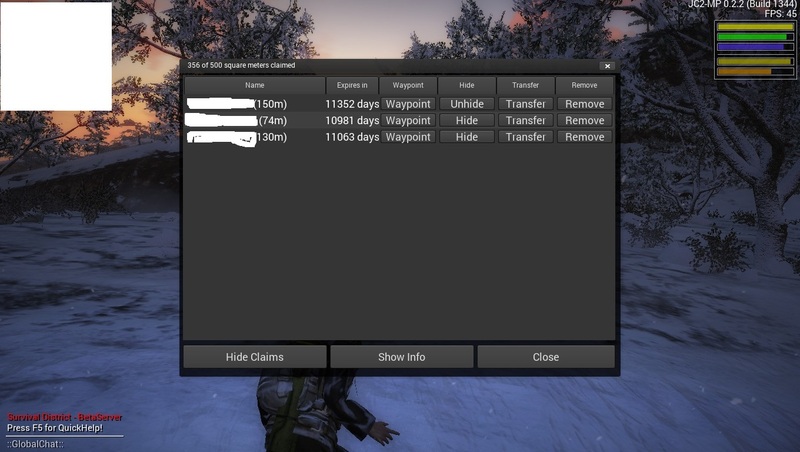 JC2MP is getting less players with each day that passes and seems to me like there's a lot of people that would love to help to put the server online once again. Thanks for your effort, I hope you consider this option. It's been just over a year since we lost SD, and not a week goes by that I don't remember all the fun we would have. Just Cause 2 Multiplayer is not a dead game. Just look at other servers (Salt Factory) getting well over 60 players consistently. Rexun, if you still check these forums then please seek help in working on the server. We are all desperate to see Survival District rise again, but that will never happen without you. Multiple people on this post have said that they have the required skills to help fix the server, and I have no doubts that they would be willing to take up the challenge. Understandably, you are reluctant to let random people work on the server, and we all understand that, however it has been over a year without SD and we're all getting pretty desperate. The best Christmas present I could hope for would be to see SD come back up. Damn, didnt think the server would ever come back after jc 3 came out, really hyped about the possibilty that the server might still make a comback. Used to love that server, so much more fun when u actually need to work for stuff and have something to lose unlike most servers out there today.